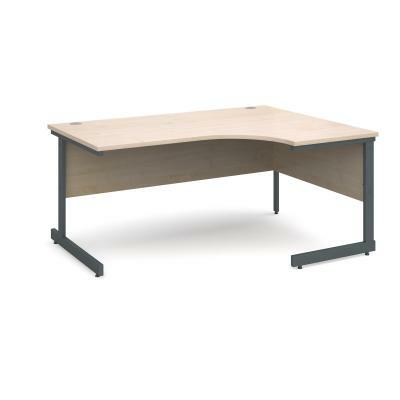 High Quality Crescent Desks & Radial Workstations for Sale Online, with Huge Discounts and Nationwide Installation Available. 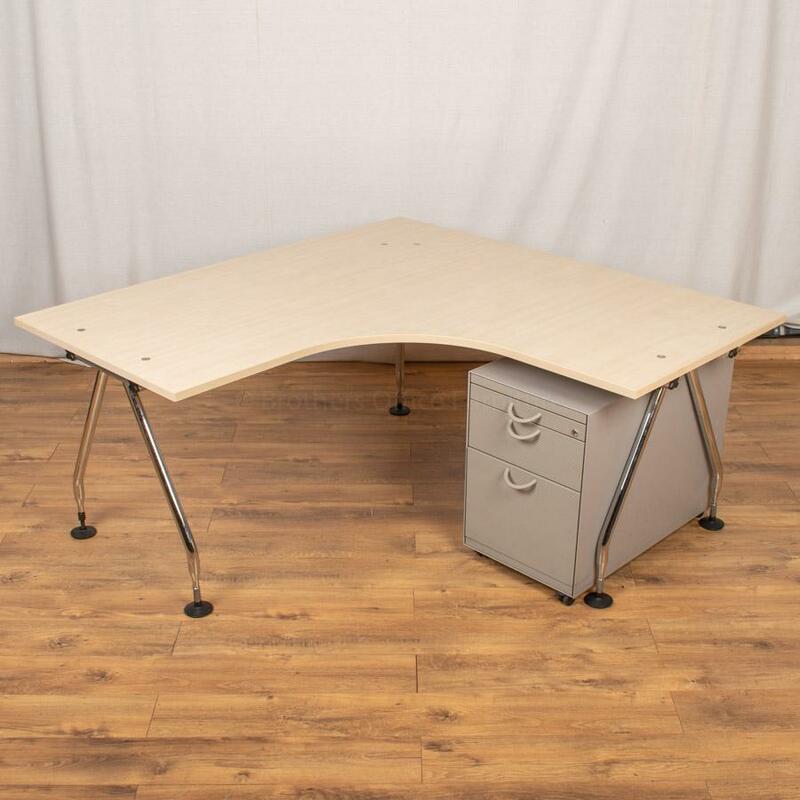 Second Hand Corner Workstations with Ergonomic Designs, all in excellent condition, with a huge range of Quality Second Hand Desks to choose from. 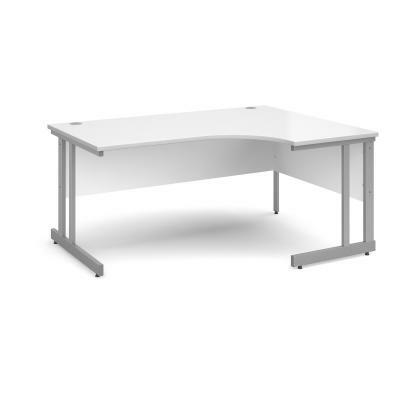 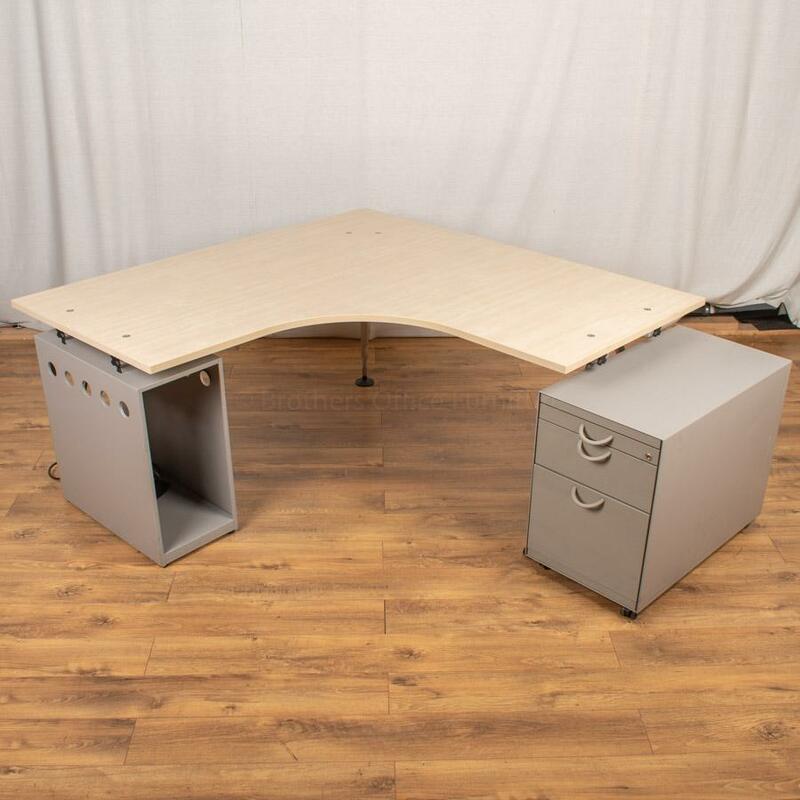 If yiou are looking for a Large Office Desk with Space Efficient features and Office Storage Solutions, our great choice of Used Corner Workstations are what you need. 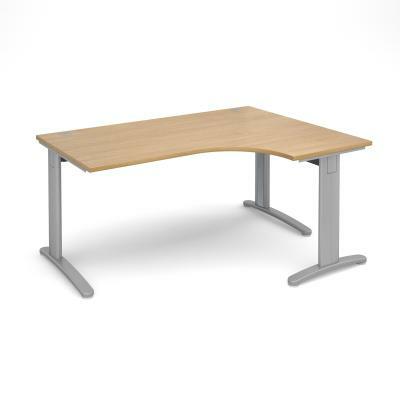 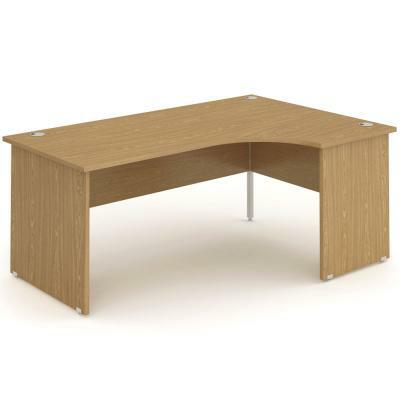 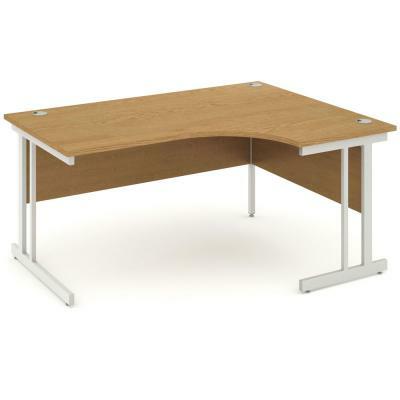 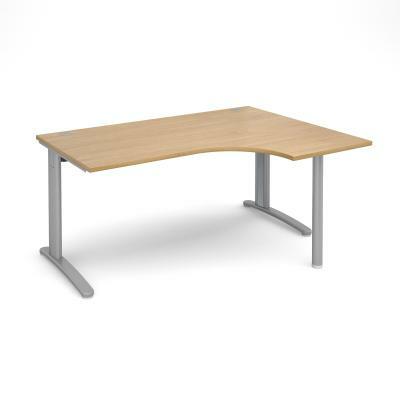 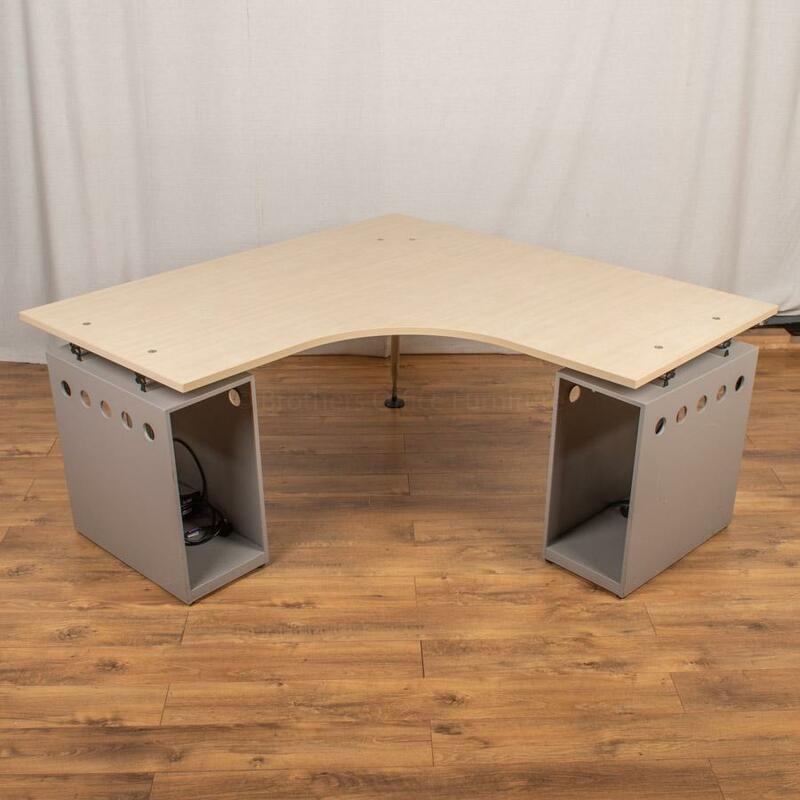 The majority of our Used Corner Desks include and Office Pedestal (or set of Office Drawers), and when purchasing New Corner Workstations Online, we have a choice of Quality Made New Office Pedestals for you to choose from. 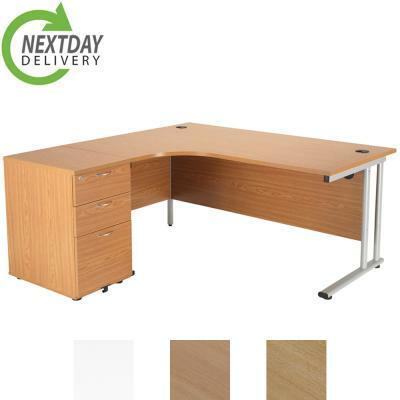 A large selection of our New Office Furniture is available with Next Day Delivery. 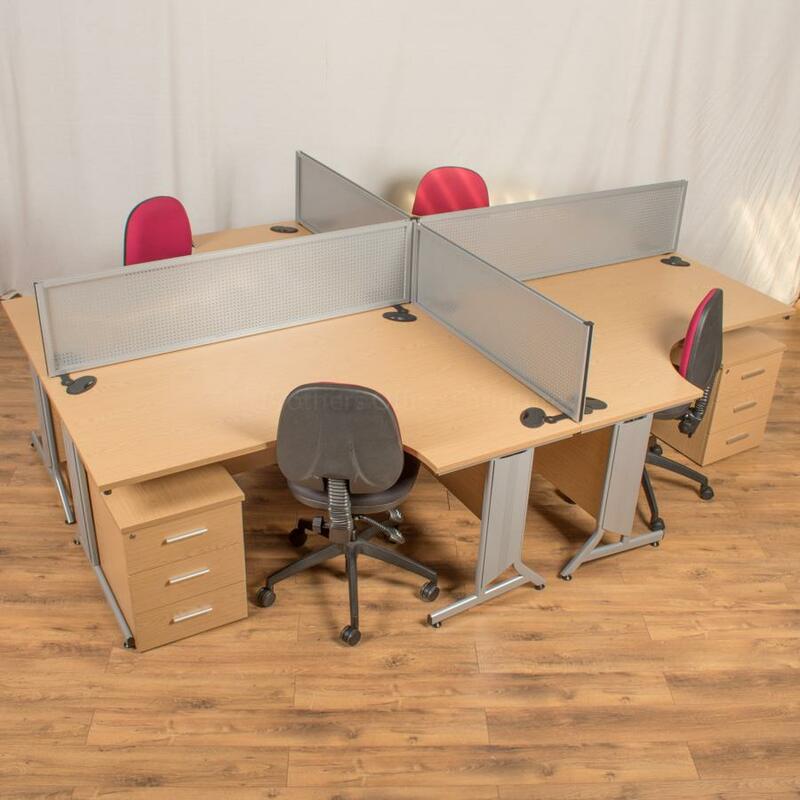 All of our Used Office Furniture and Used Corner Workstations come with a minimum 1 Year Warranty, with some of our New ranges of Office Furniture and Corner Workstations coming with up to a 10 Year Warranty! 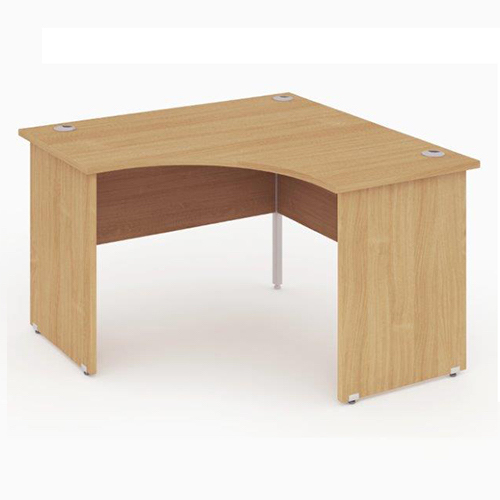 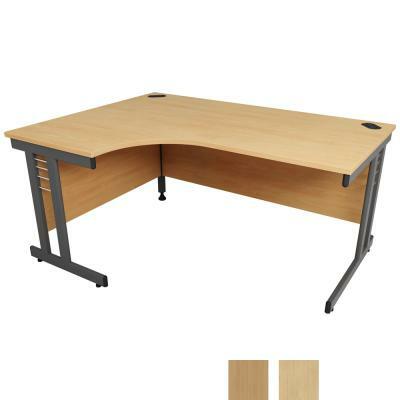 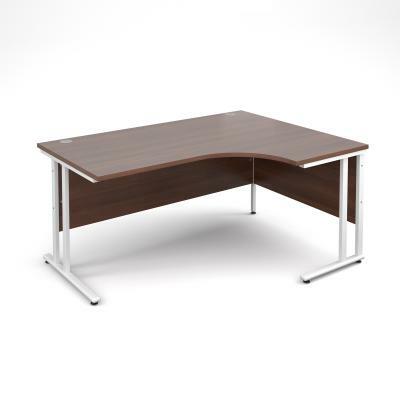 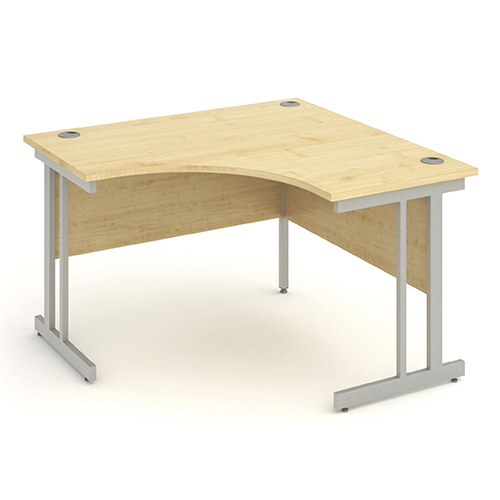 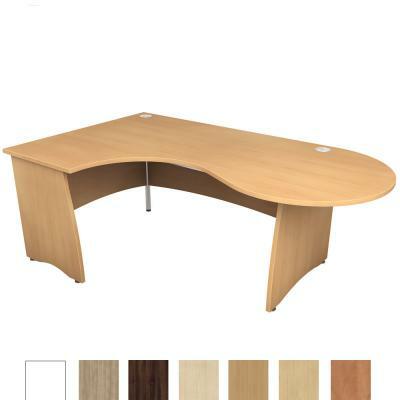 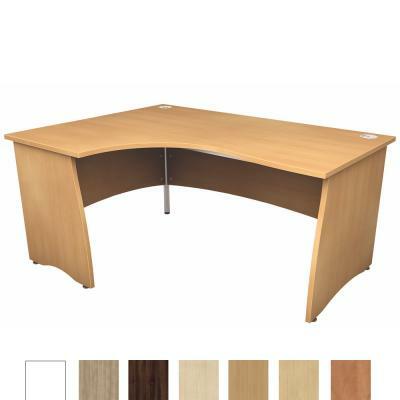 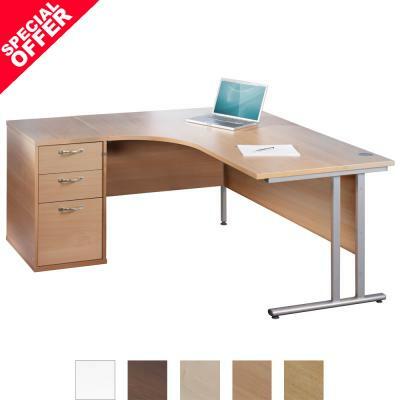 Our Ergonomic Corner Office Desks come in a wide variety of sizes, desk top finishes, leg colours and desk designs. 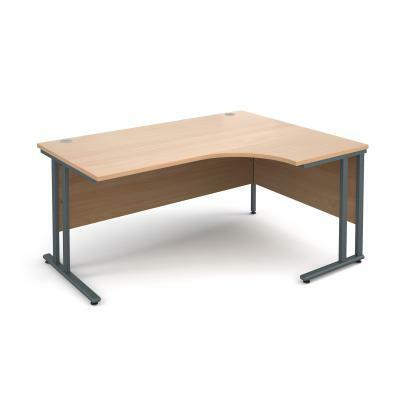 Office Corner Workstations sizes For Sale include 1400x1200, 1600x1200, 1800x1200, 1600x1600 & 1800x1800. 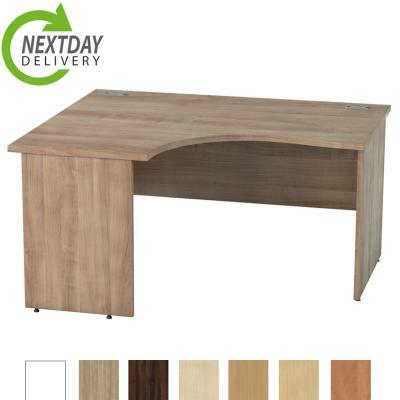 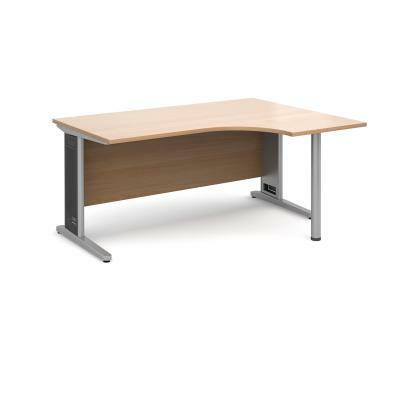 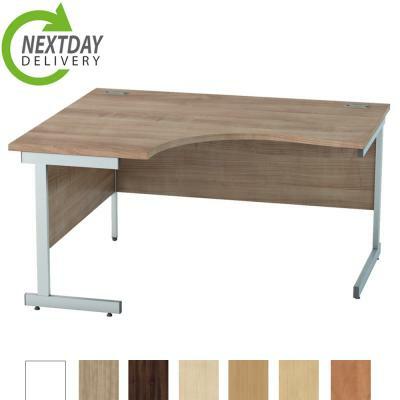 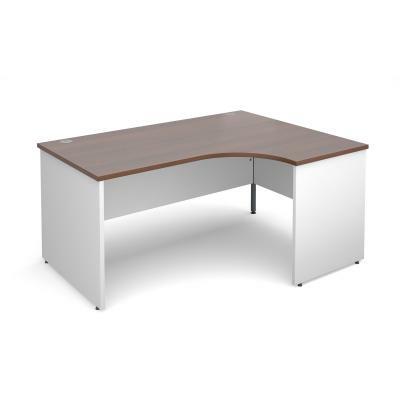 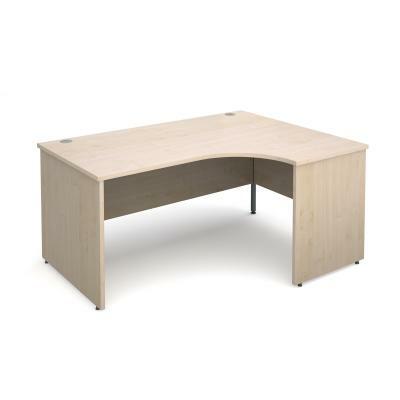 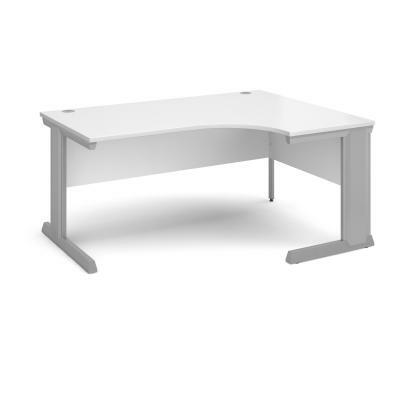 Here at Brothers Office Furniture, we stock all the popular Office Desk finishes including Maple Corner Workstations, Beech, Oak, Walnut, White, Cherry & Ash with Desk legs available in White, Silver & Grey. 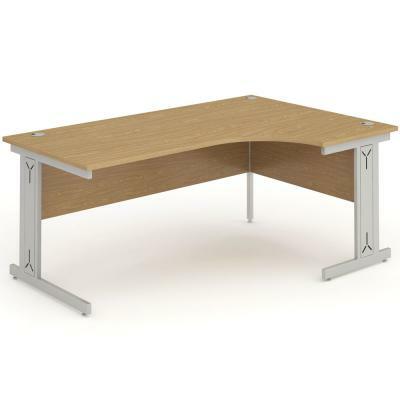 Choice of matching Panel End Desk Legs, Cantilever, Bench and Cable Managed Beam Frame Desk Legs. 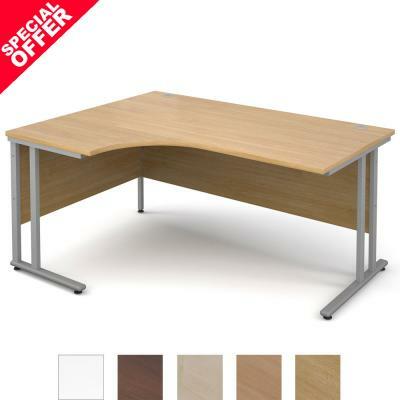 Can't find what you are looking for here? 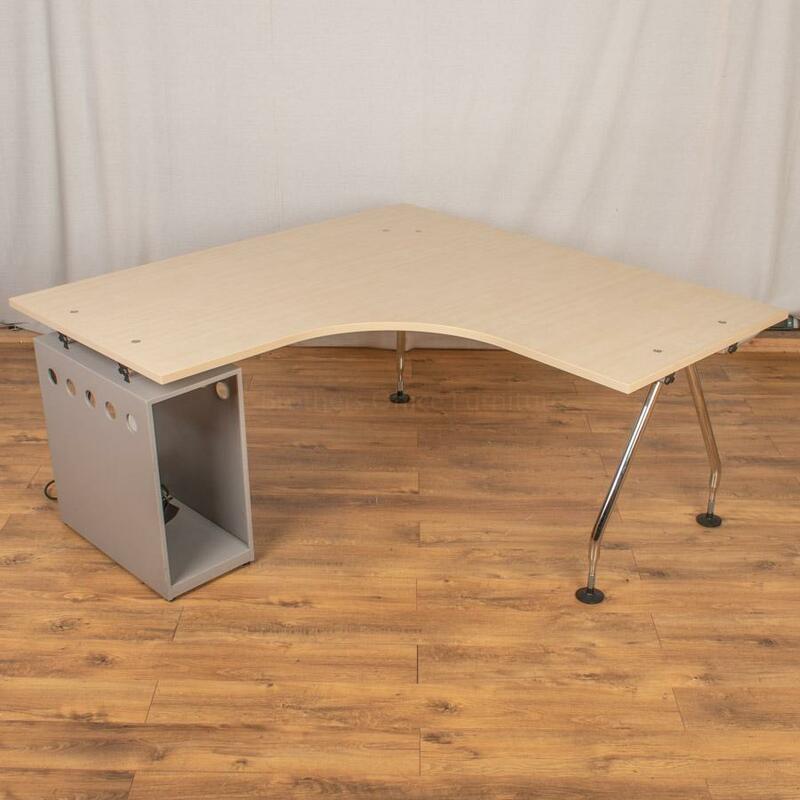 Why not check out our range of Used Wave Office Desks and Used Straight Office Desks, all at unbeatable prices, Order Online today! 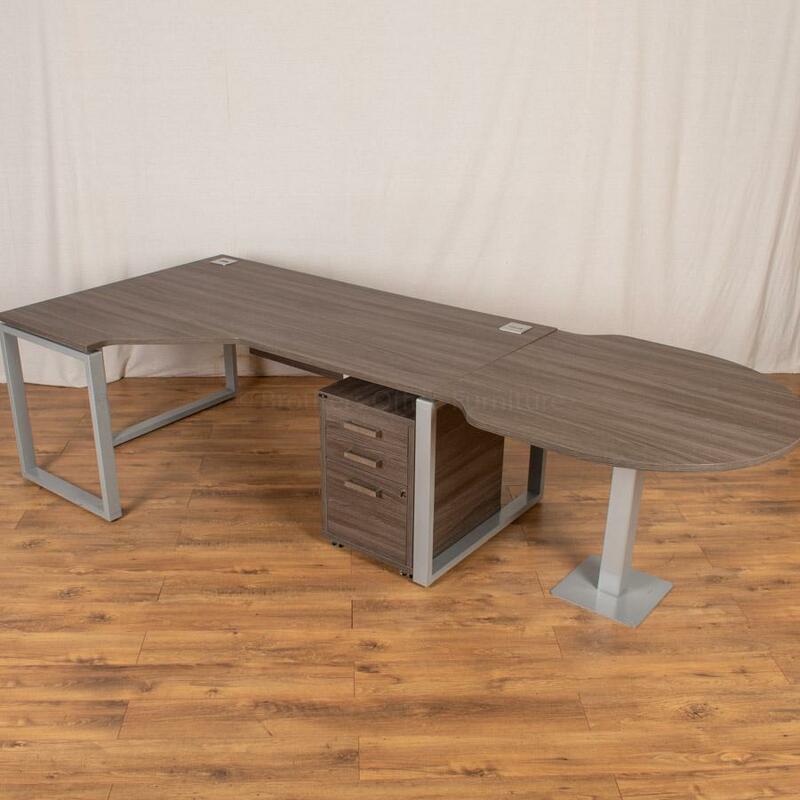 Also check out our great range of matching Office Pedestals and matching Office Storage to complete your office set up and remember our fully qualified Office Furniture specialists offer space planning and will happily help with any of your enquiries!